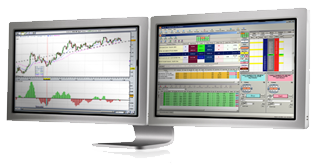 Allow us to give you a one-on-one demonstration of our advanced spread betting platform. One of our experienced dealers will be happy to give you a personal tutorial of our unique trading platform. Enter your details and one of our team will be in touch to take you through our trading platform. Spread betting carries a high risk to your capital, can be very volatile and prices may move rapidly against you. Only speculate with money you can afford to lose as you may lose more than your original deposit and be required to make further payments. Spread betting may not be suitable for all customers, so ensure you fully understand the risks involved and seek independent advice if necessary. What Trading tools do you have? How can I get the most out of the platform? Is it riskier being out of the markets..? ProSpreads is a trading name of Argon Financial Limited; a company registered in Gibraltar (company no. 91368). Registered address at 2/3b Horse Barrack Lane, Gibraltar. Argon Financial Limited is licensed by the Government of Gibraltar and regulated by the Gibraltar Gambling Commissioner (Gaming Licence No.70) and authorised and regulated by the Financial Services Commission.